This month’s spotlight is on goldsmiths and contemporary jewellers, We Three Kings of Bridge Street, Witney. When the Lula Mai team was looking for a supplier to provide the wedding bands, theirs was a name that came up in recommendations time and again. The rings that Nikki and Bill Maddocks make at We Three Kings are personal and designed especially for the couple, making them perfect for the Big Day. So when Nikki and Bill generously agreed to supply bespoke wedding rings for our lucky couple the team was delighted. And it’s all the more fitting since Bill and Nikki have their own connection with the emergency services, as Bill is an on-call firefighter in Witney. 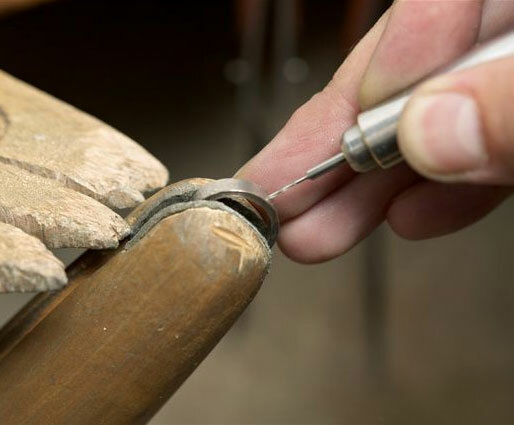 At We Three Kings, Nikki and Bill offer a personal and friendly service – creating jewellery at the bench in their workshop. Their clients don’t need to know exactly what they want. Bill and Nikki will have a chat and find out more about their ideas, the occasion and what they do and don’t like. Then they draw up designs free of charge and provide a costing. When the client is happy with both, Bill makes up the piece. Each one reflects something personal and goes on to be treasured, often with the intention to pass it down through the generations. Bill says, “Nikki and I have a great job, designing and making jewellery for all types of occasions. Nikki is very creative and has lots of design ideas and I enjoy the technical challenge of making the piece up. Nikki and Bill met whilst studying jewellery design at college. Nikki went on to a degree in three-dimensional design, majoring in silversmithing and Bill went to Epsom to study goldsmithing. They married whilst they were both still students and after graduating they decided to set up on their own, making jewellery, selling through galleries and trade fairs. In 1995, Nikki and Bill had their first child, moved to Bridge Street and opened We Three Kings. At first they sold a variety of crafts and jewellery, created by more than 50 artists, as well as making their own jewellery at the bench. 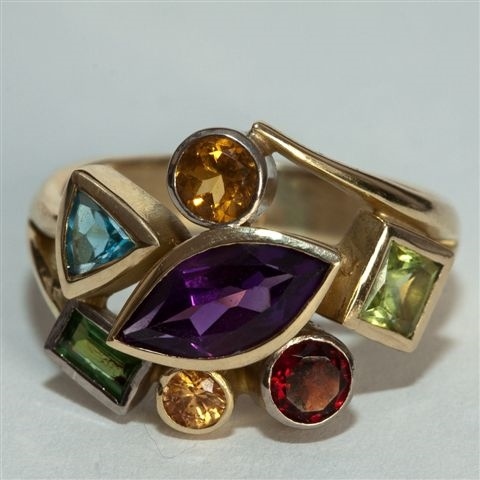 Following the birth of their second child in 1997, they refurbished We Three Kings to focus on their jewellery and that made by a number of other British artists. Nikki made up collections for the shop while Bill continued the bespoke work, making the pieces that mean so much to people. The shop and their home were badly affected in the 2007 floods and they had the mammoth task of renovating We Three Kings. At this point, Nikki and Bill decided to concentrate purely on designing and making their own bespoke jewellery and they haven’t looked back. Nikki and Bill are designing and making Ross and Emma’s wedding bands. The couple loved We Three Kings so much that they commissioned them to create a gorgeous bespoke engagement ring for Emma. Now Bill and Nikki are working on designing a wedding band that complements that ring and Ross’s band will reflect his wife-to-be’s. 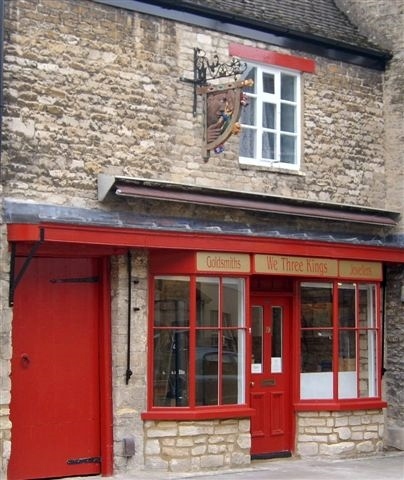 We Three Kings design and create their jewellery in Bridge Street, Witney. To find out more, email billmad@ntlworld.com , visit their new website We Three Kings or call 01993 775399.